I have in-laws in Florida that have always said they hated Disney and never wanted to go. But being from a cold northern border state I loved coming to Florida, but mostly coming to Walt Disney World. My family invited these haters to come along just one time with us, and they agreed. They seemed to have a good time, but they wanted to leave before the park closed. No way! Fortunately they drove separately so they left and we stayed for everything Magic Kingdom had to offer that day. As far as I know, they have never come back. If they did, and purchased a Park Hopper option on their ticket I would recommend the following attractions. I would encourage them to read about the attractions on the Disney website, or here on DisneyDining.com and choose at least one thing they would like to experience. That is a start, and hopefully they won’t complain about an attraction they picked themselves. If you can discover what they are interested in, it could help in steering them to a specific attraction. I hope that this list is helpful to any of you who may be traveling with someone who doesn’t think they would enjoy a Disney trip. 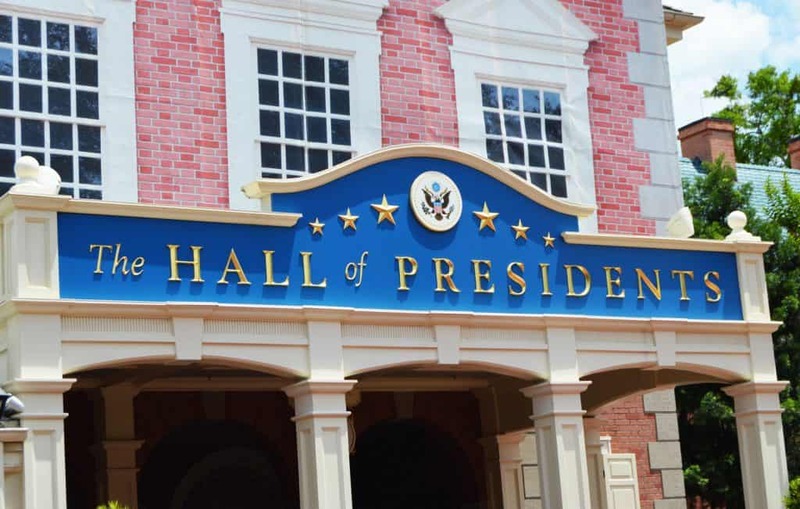 This attraction will appeal to history buffs especially, but also for those patriotic US citizens, and others wanting to learn more about this host country’s leaders. The entrance is in Liberty Square, opposite the Liberty Bell replica. In the waiting area you will see portraits, clothing, accessories used by past President’s and their First Ladies. There is also one of the rugs that graced the Oval Office. It literally took an act of congress to allow it to be placed here. The theater is large and the seats are comfortable. You will be given a short overview of US History, politics, a speech by Abraham Lincoln, and then you are introduced to each of the Presidents of the United States. These are full size Audio Animatronic figures that move during the time they are on stage. Some of them talk. With the regular addition of presidents, this attraction changes slightly every 4 years! This should appeal to those guests who think Disney is only about a mouse and singing dolls! You are basically riding inside a video game, how cool is that? You board ride vehicles that have cannons on board that you shoot at targets and try to outscore your opponent. At the end you will see how your final score did against the best score for the hour, day and month. You can even check the Accuracy of your shots to see what percentage of shots you made actually hit targets. Your arm will be a bit tired after doing all that shooting. Make sure you try for a FastPass+ for this ride and you will enjoy it much more than snaking through the long queue for standby. These two rides are so well themed and a blast to ride, I believe it will cure the haters. They can’t help but be affected by these rides, hopefully in a good way. The music on Rock ‘n’ Roller Coaster combined with that super-fast takeoff sets this coaster ahead of the other ones. Tower of Terror, based on the Twilight Zone, and a great background story takes them on something a great deal more intense than the “elevator ride” they may have in their heads. Check their photo for the look of fright or thrill, but they can’t be indifferent to it after they have experienced it. 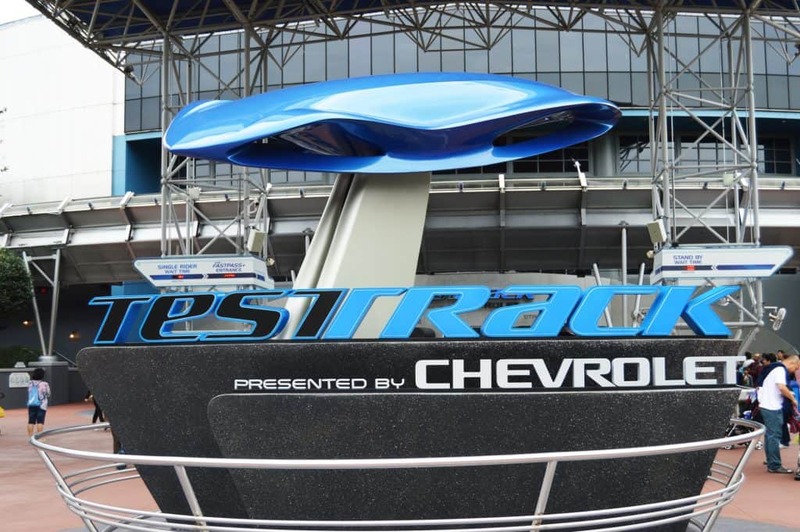 This attraction allows guests to design their dream vehicle using computer software while you are waiting to board the cars. When you get to the boarding area, you swipe your card and then as you move your way through the vehicle testing you will see a board that scores how your dream vehicle would have performed on that test. At the post show you can again swipe your card/Magic Band and play racing games against other guests in a three dimensional race track. There are new cars, vans, and trucks on display that you can climb in and test the seats, etc. You can get details on all these new cars and get your photo taken in them. There is so much personalization in this experience that I think it would surprise any hater how much fun they can find there. Who’s up for a ride on the new Slinky Dog Dash at Hollywood Studios? Let’s just say there is no way to go on this one and not have a blast! Toy Story Land has crowds flocking to Slinky Dog for all the right reasons. This fun, new land makes guests feel as if they’ve shrunk down to the size of toy and are exploring Andy’s backyard with his beloved toys. 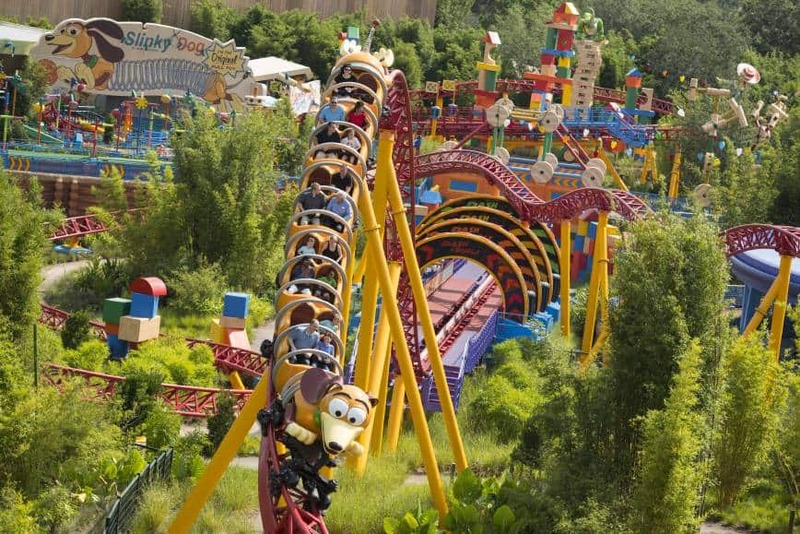 Slinky Dog has joined in the fun with smooth dips and turns on his roller coaster! This is a great family-friendly coaster that is sure to be a favorite after just one ride. Have a blast with the breeze in your hair… just don’t forget to look around at all the awesome sights you’ll see across Andy’s toy-filled backyard. Finally, pull in for a stop to hear the sweet audio-animatronic Wheezy the Penguin singing for all the Slinky Dog Dash guests to enjoy. Who doesn’t like Word Showcase, right? Even the grumpiest guest can find something they love here! Food, beverages, alcoholic beverages, souvenirs, travel movies, architecture, shopping, even the costumes from the different countries are fun to see. There is so much to pick from at World Showcase you are bound to find something you enjoy. This attraction brought the unexpected guest experience to Walt Disney World. 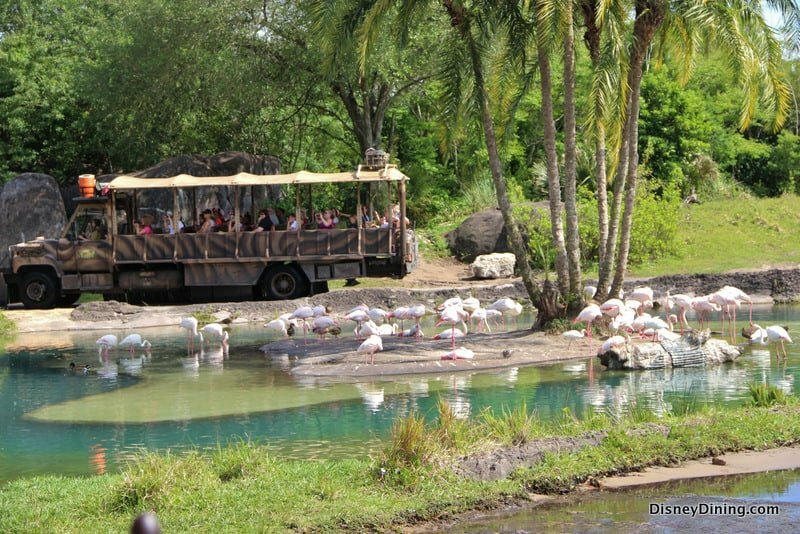 You will ride in an open truck and tour several habitats from Africa seeing a large variety of animals you might see on a real African safari. Some of the animals are loose and can come right up to the ride vehicle. You can get incredible photos from your ride that you could not get at a zoo. The driver is also the narrator for the ride and shares bits of information about the animals you are seeing. When you depart the Safari vehicle look for the entrance to the trails nearby to see even more animals. There are baby gorillas presently being viewed along with their family and a group of male gorillas who are separated from the rest of the gorillas. Wander about and see the wildlife! Nature is always impressive!